This is it. Half number 15 is here on Sunday in Ann Arbor. 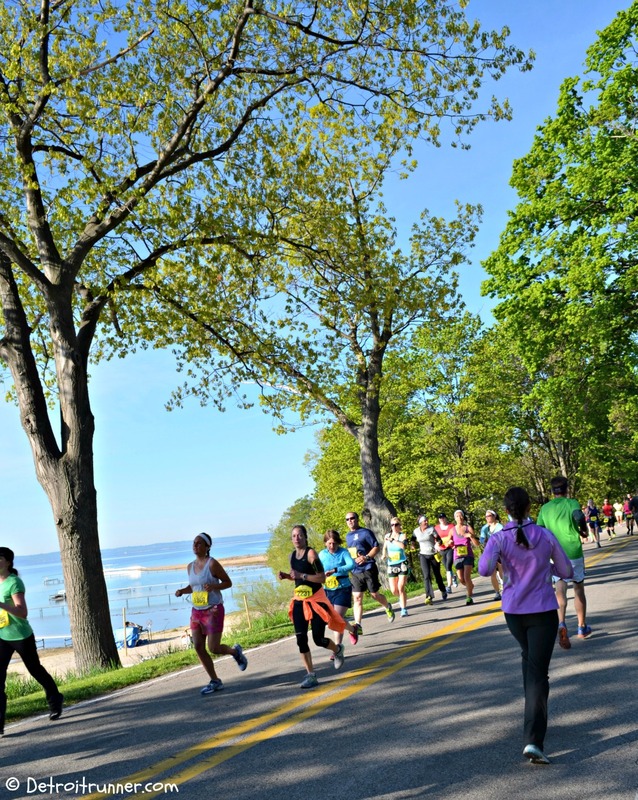 It's the Dexter to Ann Arbor half marathon and it's celebrating it's 40th year. 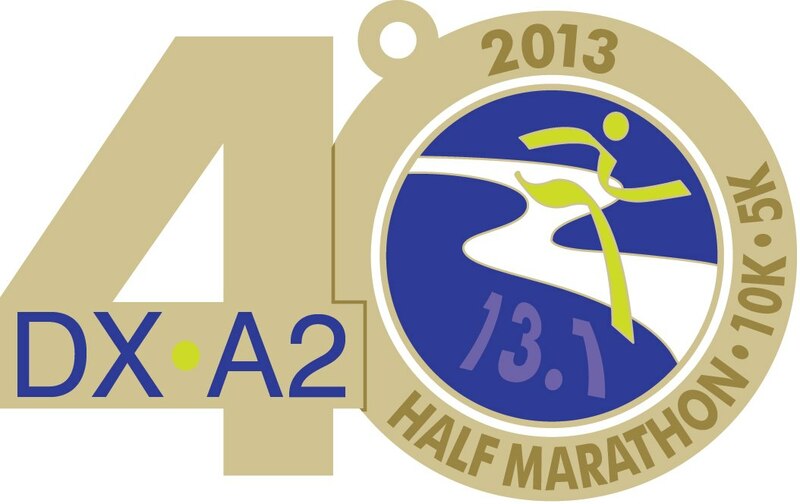 I have never run this half and am really looking forward to it. This is the first race that I've will take a bus out to the start in Dexter and then run it back to Ann Arbor. How fun! This is a rendition of the medal. Sweet! See you at the finish line. I hope to have a full review after. 3 miles on the schedule today. It was hot and humid out but I'm enjoying Summer weather. Rest tomorrow! On my bike ride this morning at Stoney Creek - beautiful! 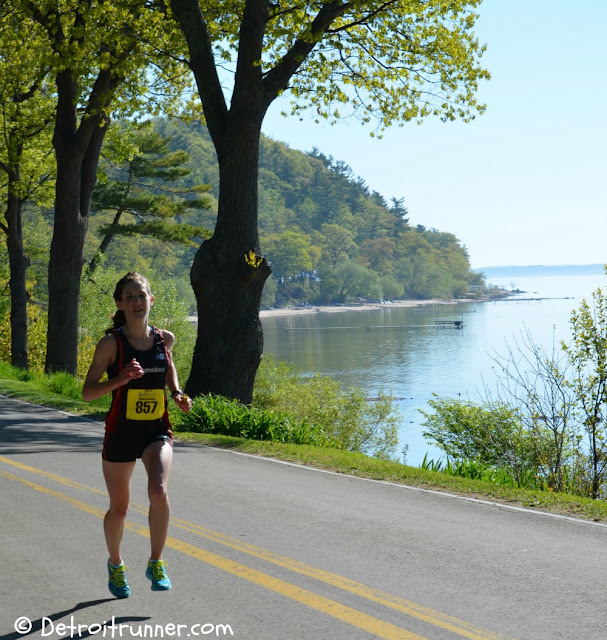 I ran the Bayshore Marathon in Traverse City in 2011 as my first marathon. My running buddy, Kevin, was running it this year as his first marathon so I decided to go out and cheer him on. The weather was absolutely perfect for a marathon. Start was in the high 30's and finish close to 60 and sunny all day with no wind. You could not ask for better weather. It was extremely enjoyable to watch as well. I'm jealous I didn't at least run the half but I do have Dexter to Ann Arbor this Sunday so I didn't think I could handle three half marathons, three weeks in a row right now. For those of you that have never run Bayshore, this is one you need to put on your list. The view of the bay is spectacular and while I have not run many marathons in other states, I'd guess this has got to be one of the prettiest courses out there and probably why it sells out the day of open registration. It started off pretty early. I got up a little after 5am - yes, on the weekend and I was not running today! Haha! My place up north is about an hour away from Traverse City. I got a picture of the moon coming out of my neighborhood but this pictures does not do it justice. An hour later and I was there. The race started at 7:30am and I'm glad I left when I did since it took me some time to find a parking spot. As soon as I got there, I saw this!!! The weather conditions were perfect as you can see. Not many opportunities to see hot air balloons at this race is my guess. The balloon was going higher and I was able to get this picture once I got to the start line. I was looking for my running buddy and he was in line for the bathrooms so I ended up missing him before the start. I did get a half-assed picture of him running but didn't include it here. One of the great things about this course is the out and back. You get to see the top runners coming back. I was at about mile 7 when I took this picture and this is the eventual winner of the marathon. The race had shuttle buses for spectators so I hopped the bus to this location and stayed there since it was mile 7 and then mile 19. The half course, you are bussed out to the start and then run the second half of the marathon course back to the start. Here's Clint Verran, who was the winner of the half. My running buddy, Kevin, was right behind him. Well, ok, not right behind since he was running the full. About a 1/4 mile from the above pictures, I walked to where there is an awesome view of the bay. This is why you have to run this course! This is the road of the course next to the water - outstanding!!! Then I got a great picture of my running buddy. Once I got pictures of my running buddy, I headed back to the shuttle bus. The last bus was at 10:30am and it was about 10:27am so I just made the last bus. I wish they would have had the last time at 11am. If you missed it, it was a six mile walk back to the start and I didn't want to do that. Plus I didn't want to miss Kevin at the finish line. 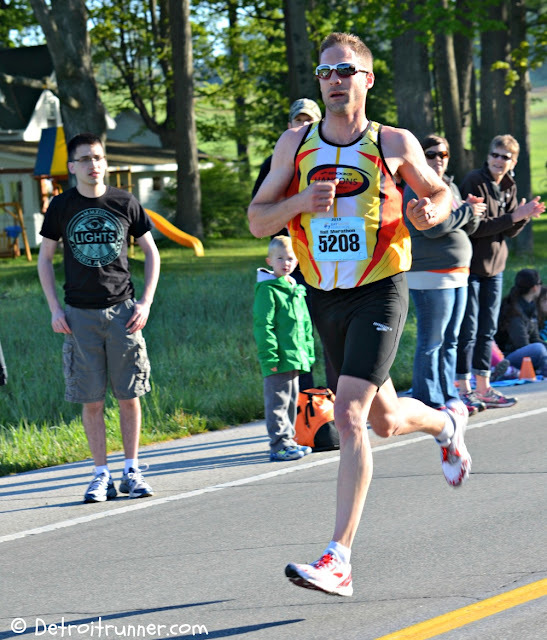 One thing I didn't like about my finish line pictures at Bayshore in 2011 was where the photographer stands. You can see him in my picture below. There is no finish line or time in the finish line picture. Really, who cares about the pictures on just a track? I wanted proof of the finish but didn't get it. Fortunately, I was able to get Kevin from where I was standing with the time and finish line in the picture. With that, I met up with him after to congratulate him and drove him back to the hotel so his family could spend the rest of the weekend enjoying northern Michigan. If you get a chance, this is a race not to be missed in Michigan. I took a ton of pictures but rather than post them here, you can go HERE and see them. If you know someone that I took a picture of, please feel free to share it with them. I'd be happy to give them a full size file. As many of you know, I've taken up Yoga since the beginning of the year. As a runner, we tend to get quite tight. In fact, I didn't realize how inflexible I really was until I started doing yoga. Yoga has helped me tremendously for my running. It has helped increase my flexibility so that I'm a better runner and I don't get as many aches and pains as I used to. Given that my flexibility is still not there, many of the poses that I see, I just can't quite get there yet. I mean, have you seen some of these crazy poses? So essentially what this is a hard foam block prop that you can use as you do your yoga positions. For example, I cannot quite get fully extended so my hands are flat when doing a Sun Salutation. When I use the unBLoK, I can put my hands on this so that it helps me keep the right form and prevents me from stretching too far and hurting myself. I especially like #2 and #4 above. It absolutely helps with your form and I love all companies that can include recycling in their products. Here's also a few more pictures of the product so you can get an idea of size. It's quite compact and would also be very easy to travel with. To help celebrate the launch of the unBLOK, Manduka has kicked-off a digital campaign, the unBLOK party‹celebrating community yoga studios nationwide. Yogis are encouraged to nominate and vote for the studios that helped them "unblock" in their practice for a chance to win a range of prizes! LOS ANGELES (April 30, 2013) ‹Manduka, purveyor of high performance yoga gear and the #1 choice of yoga teachers worldwide, revealed today the latest addition to its innovative family of yoga mats, props and accessories‹the Recycled Foam unBLOK. Thoughtfully designed to be the most versatile foam block in the market, the unBLOK¹s functional, sleek design, user-friendly shape and high quality eco-friendly materials will help provide yoga practitioners versatility in traditional poses, offering a deeper, more natural support throughout their practice. Inspired by the unblocking that naturally occurs when you have a powerful yoga session, Manduka is supporting the launch with a digital campaign celebrating the community spaces that help practitioners achieve breakthroughs: local yoga studios. Kicking off today, the unBLOK party campaign and contest encourages yogis to nominate their local studio viaFacebook, sharing how their favorite practice space helps them ³unblock² and return to the world with new clarity. Nominate‹Head over to Manduka¹s Facebook page and answer a few questions on your inspirational studio. Manduka will thank you with a special offer. Select‹Manduka will select five studio nominations to feature on a dedicated landing page: www.manduka.com/unBLOKParty. The selected studios will be outfitted in Manduka yoga gear. Additionally, five people who nominate will be gifted with an unBLOK kit. Vote‹The community will be encouraged to visit the unBLOK landing page to vote for their studio of choice. The winning studio will receive additional Manduka yoga gear and an ŒunBLOK¹ party‹an in-studio experience inclusive of yoga taught by a high-profile teacher followed by a celebration with music, food and product giveaways. Give‹Manduka will sponsor a teacher or teachers at the winning studio to do their own seva work bringing yoga to an underserved area in their local community. Nominations are open starting today and will run through May 21. Voting on www.manduka.com/unBLOKparty will begin May 31. About Manduka Founded in 1997, Manduka was built on the simple idea that a better yoga mat can make a world of difference. Manduka strives to support and enrich the yoga community by providing premium quality mats and products while respecting employees, customers, materials, and the environment. Created for and by yoga enthusiasts, Manduka¹s technical and purpose-driven product designs meet and often exceed the distinct needs of all practitioners. Today Manduka¹s products, which include yoga mats, towels, yoga straps, water bottles, and bags, are sold in more than 35 countries around the world. Not only focusing on superior design, Manduka also promotes their ethos of quality, thoughtfulness and sustainability in all realms of their business. Sorry, I'm a little late on the nominations since I received my unBLoK after that date but you still have an opportunity to vote and a chance to win through their contest on Facebook. As I'm sure you will agree, anything to help you improve for running is a product worth trying out. Here's a coupon code for some savings too. Click HERE. * Note - I received a unBLoK by Manduka in exchange for this review. All opinions on this blog post are my own and I was not paid or required to give a particular opinion on the product. Well, I guess I should just name this the meal series since I never seem to get the day right. Oh well! 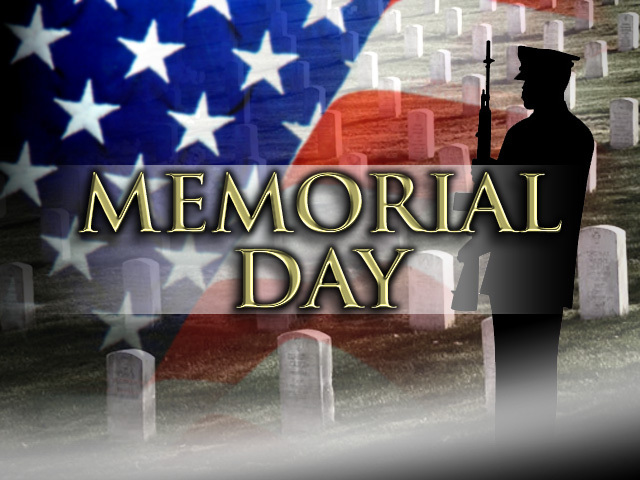 Here's a great recipe to try for your Memorial Day Weekend! Have a good weekend. I'll be back on Monday! Preheat the oven to 400 F. Line a baking sheet with aluminum foil. Lightly spray with vegetable oil spray. Rinse the fish and pat dry with paper towels. Place the fish on the baking sheet. Spoon the dressing over the fish. Sprinkle with the bread crumbs and tarragon. Sprinkle with the paprika. Bake for 12 minutes, or until the fish flakes easily when tested with a fork. 10 miles on the bike today. Yes, you heard that right, on the bike. I figured I better start getting my act together since I've only got 11 weeks until my first tri. I think I still plan to just wing the swim but I need to get the bike/run into my program somewhere. I felt pretty good today but need to get on the trails where the race will be. Overall, we had good weather but a little warmer than many would like. The entire race overall was well organized, very nice tech shirt, awesome design on the medal, one of the nicer courses I've run for the half and a home plate stadium finish. What more could you ask for? This is one that needs to be on your list. Registration was very easy and since I was a race ambassador for the race, the race director just set me up in registration. There were options to mail in your registration or sign up on Active so things were very simple regardless. My wife and I decided to make it a weekend so we headed to packet pickup the day before race day to get it at the Curling Center in Midland. It's next to the community center. We had a little GPS issue but got there with little problems. This was the perfect size building for the layout of the race. As we entered the building, we were greeted with the race information and the sponsors. As you can see, there was great organization here with packet pick up and also if you wanted to register for a race here, you could still do so since it stopped on Thursday online. As we made our way into the packet pickup, there was a table for other local races. Since we are not local, I could not see coming up here unless it was for a half or a full marathon but it's nice to see the other races working well together. We were able to walk right up with no waiting. I gave the volunteer my name and age and she went and got the packet. One thing I really liked about this is that the packets were all ready to go with your bib, shirt and goodies in it. I know it's tough to do this for a really large race(and needs many volunteer hours) but this race was less than 1000 runners and it made things easier for the runners. Of course, it also prevented shirts from being given away to last minute registrations which is what happened to me at my last race. Overall the packet picket was perfect - in and out! Pick up - ready to go! The race even had random prizes for some of the runners. I was lucky enough to get picked for a $25 gift certificate at the local running store. 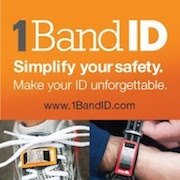 What a great idea and a nice surprise for any runner running this race. I also got an opportunity to meet the race director, Greg Roan. He was the one to thank for putting all the races together(with the awesome volunteers of course). A very tough race to direct given the two days of racing and he did a great job in my opinion. Before we walked out, there was also a wall of the maps of the races and all the race times. Look at all those races! If you were running the full marathon, they had a pace team out there which is a nice feature to have if you are looking to meet a certain time. I've run with pacers in the past and they are a great way to keep you from going out too fast like I did. There were also a few vendors selling their merchandise. A fairly small expo but then I would not expect it to be large given the number of runners. Since I won a gift certificate, after we left packet pickup, we stopped by Runners in Midland and I picked up a new water bottle to run with. 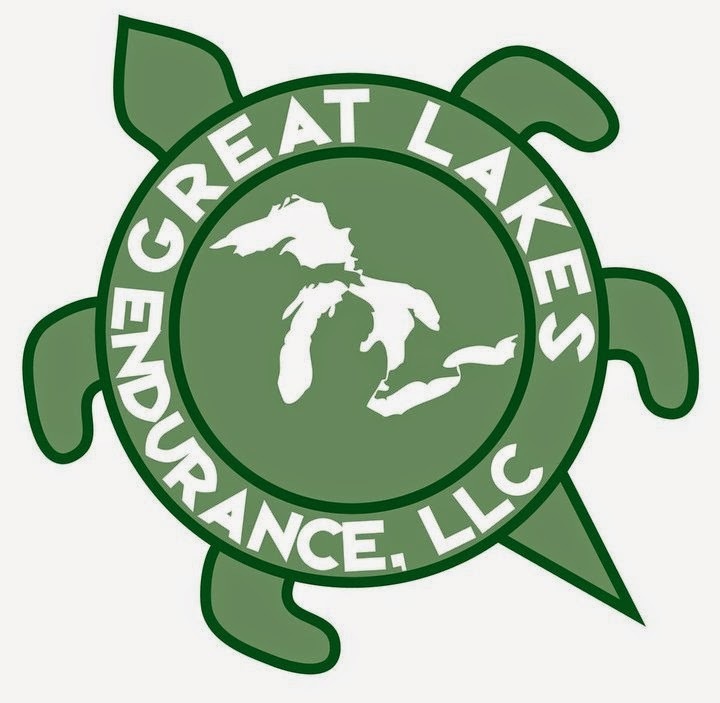 It was also nice to see another running store in Michigan and they were very friendly and helpful. The start of the races were at Dow Diamond in Midland. This is an awesome and unique place to start and finish a race. Of course, Dow was a main sponsor of the race, given they are headquartered here. Having the ballpark open to the runners was a real treat. I've not gone to a baseball game here but it looks like it would be a great time and worth another trip to see a game. It's a very nice structure. Here's a close up of the entrance. You go up a flight of stairs through the gates. When you got upstairs, the race had packet pickup set up here as well so if you could not make it the day before, you could come the morning of and pick it up. ALL races(except majors) should have both pre-race day pickup and race day pickup just in case you are not able to get in the area the day before and was happy to see they provided both. I could have gone the day of but thought it would be nice to get away for the night. We also were able to get a sneak preview of the finish line right on home plate. It made it so exciting to be able to see the finish so you knew what to look forward to at the end of the race. A chance to see our home plate finish line - very cool! As we came around to the back of the ballpark, I snapped a picture so you could get an idea of the ballpark and how nice it is. Very well kept. In fact, so much so, I'm surprised they allowed us to run on it. Since I arrived early enough, I got a chance to see the wheelers start. Here's a picture just before they started. If you have not ever seen the wheelers start, it's very inspiring to see them out there. Five minutes after the wheelers started, the marathoners were on their way. They started at 7:30am and the half marathoners started at 8am. Frankly, given the size of the races, I didnt understand why they just didn't have both the full and half runners go at the same time. It would have been nice to start a little earlier given the heat and it would not have effected many runners since it was a smaller race. There were 191 total marathoners and 346 half marathoners per the timing company's results. Regardless, at 8am, we were ready to start. You can see there were more half marathoners than full marathoners and, in my opinion, it was nice to start in a race where you didn't feel overpowered by people. Based on how I ended up, I probably should have been back slightly but the crowd thinned out after about a half mile as you will see in the pictures below. Loved it! It's my kind of course. I love a loop course. I like out and back. This course sort of had both. I love running over bridges and a stadium finish is the best you can ask for on a race finish. There are a couple country roads out there too which I enjoy but some people may not. I felt like I was there for my normal Sunday run with a few hundred of my closest friends. 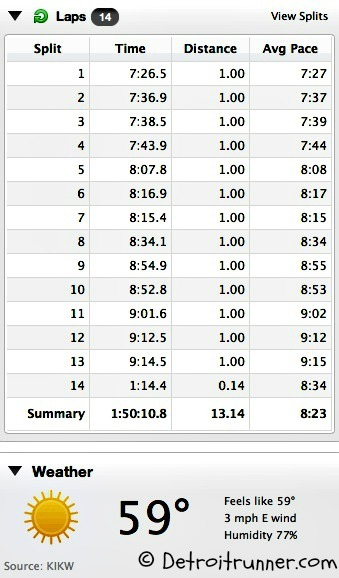 Here's my splits. I'm sure you can see the huge problem here. Why did I go out so fast, I have no idea. 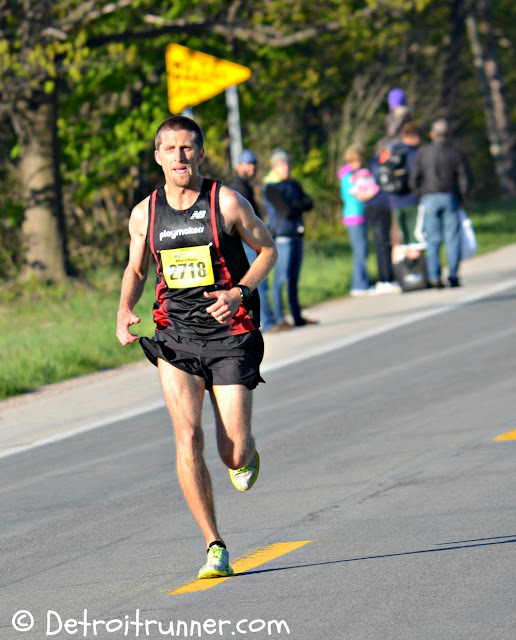 There was no way I was going to hold an under 7:30 pace. Of course, you can see what happens when you go out too fast - you finish really slow. Oh, well! Live and learn. I will also say that the start was close to sixty and it was probably in the seventies when I finished so thats pretty warm for a half but it is almost June so it's expected to be warm. This chart tells it all. My pace suffered but not because of hills. Check out the elevation. A fairly flat course overall. Note: When I take pictures during the race, I don't change my pace or stop in the interest of safety. I just keep running and I get what I can get from the pictures. Some come out better than others but they give you a great idea what the course is like. As we started our run, we took a little run around the stadium so the first part was a little congested but not bad at all. 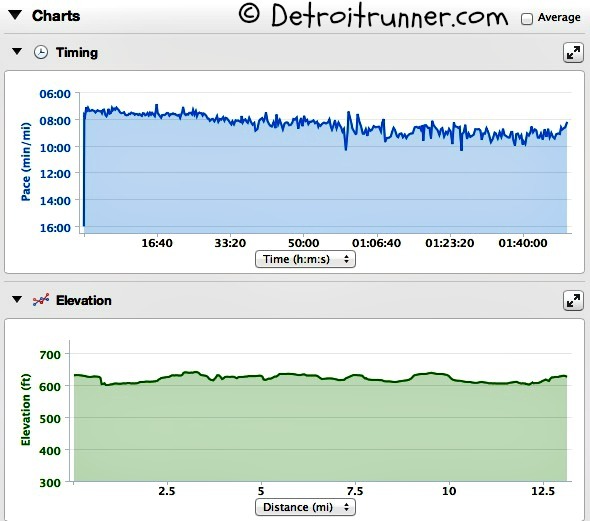 Once we got about a half mile out, as you can see below, there was not as many running by me so it made for a really nice start to the day not having to fight with slower paces out there in the beginning. People seemed to line up where they should have been lined up. It's a little hard to see but below you can see the bridge right in the middle that we will eventually run across near the finish. A great view of the river. You can see the race had a lane baracaded off for us. There was not much traffic given it was Sunday morning at 8am so you didn't really need to worry about it too much. There were a couple places where traffic had to be stopped but overall, traffic was a non issue for the entire race. Mile 1 - already done and getting warm! We were already starting to get into the country within the second mile. as you can see below. You should also note that I came in 68th place so there were not tons of people running ahead of me. I know it looks like there are hardly any around me but there was always a couple runners nearby along with the occasional spectator. If you need lots of support from crowds, you won't like this race. There is great support at the aid stations and a few residents here and there but overall, it's a very quite race. It was nice to hit mile five and finally get a little shade. This road provided some nice relief from the sun for a little bit. The course did a nice job having port-o-potties at strategic locations and, while I didn't use them, it's nice that they were there. One of the best parts of the course were on the paved trails which started about mile 7 into the race and they took you almost the rest of the the way to the finish line. One of the great things of running on the trails is that you get the occasional treat like running over this wooden bridge. It's nothing fancy but it's the little things when you are out there racing that keep you going. The gravel road was an out and back portion of the race which was needed to get their 13.1 miles in. This was a great design by the race director because he had the ability to adjust the track here so the turnaround would be just right for a proper distance. One of my biggest pet peeves is not getting to 13.1 and this course came in a 13.14 on my Garmin and you can't get much better than that. After about mile 10, you end up back on the trails again which I love. It's a beautiful area to run. They kind of feel like the area where I train. While I'm sure it was not planned by the race, it was nice to run here where they were practicing baseball. 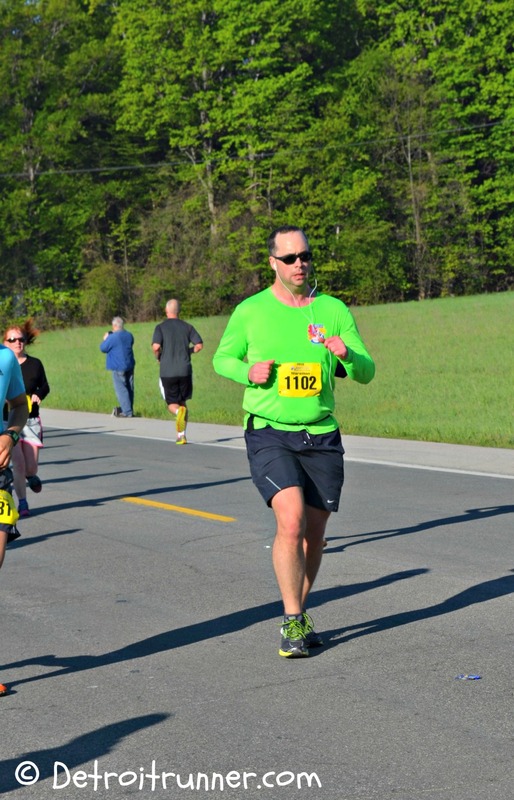 It was nice to get your mind off of running and moving towards the finish. This was one of the best areas to finish up the race. These bridges are a jewel in the area called the Tridge. I just wish I had something like this to run across daily on my training runs. This was spectacular. It was one of my favorite parts of the entire race. While you can't see it, this was a nice run past the river and under a road. It was landscaped very nice and not what you would expect under a bridge like this. Ah finally, I was getting close to the finish line. This was another great and unique part to the race. How often can you say you finished a race on home plate? You felt incredible coming into the stadium here because you could hear the announcer calling off names. When I got in, I didn't expect to be running around in the outfield. It was a very special finish and while there are many reasons to run this course, this is probably the best reason. These are only a couple pictures of the aid stations but there were plenty of them and they were stocked with water, GU Brew, GU, pretzels. I even saw rice krispy treats -ha! A great bunch of volunteers at all the aid stations and they has some high school kids that did a great job cheering you on. 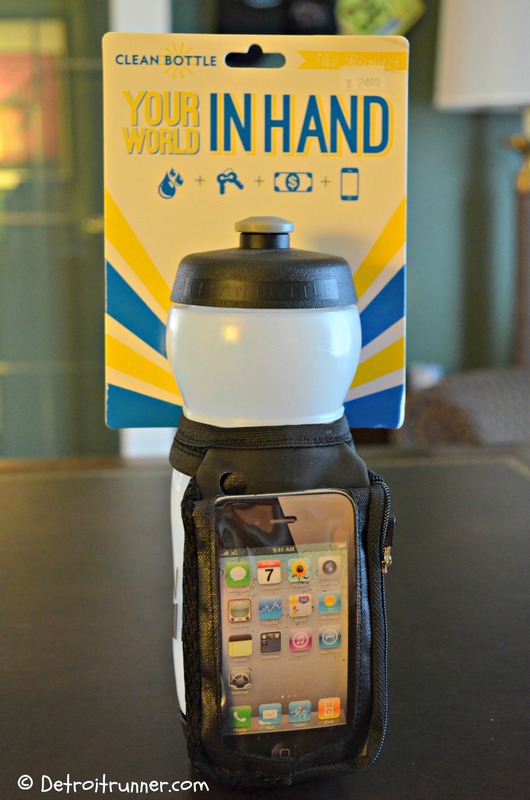 After you cross the finish line, a volunteer handed you your medal and you could grab a water. There was also room to stretch if you needed to which I did badly. If you had family that came to watch you finish, they could sit in the stands and see you finish the race. Around the corner was a tunnel leading out of the stadium where they had the food set up. 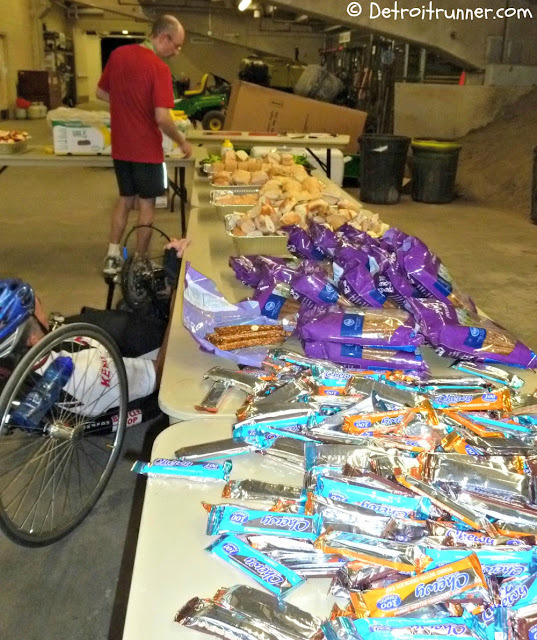 As you can see, they had all kinds of treats to pick from including, granola bars, pretzels, bagels, even sandwiches. 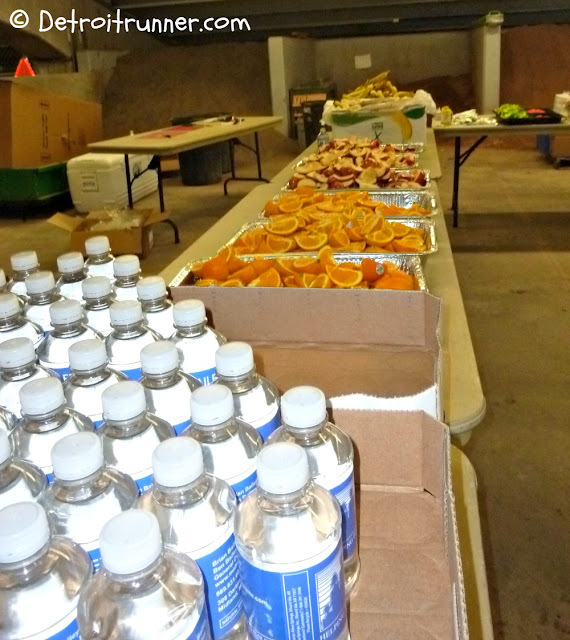 They also had orange slices, apple slices, bananas, water and GU Brew. A really well stocked finish line food area. Plenty of food and also plenty of volunteers to help you if needed. As I was eating my bagel, I looked up and saw Andrea. We talked for a few minutes about the race and then got a quick picture together on the field. 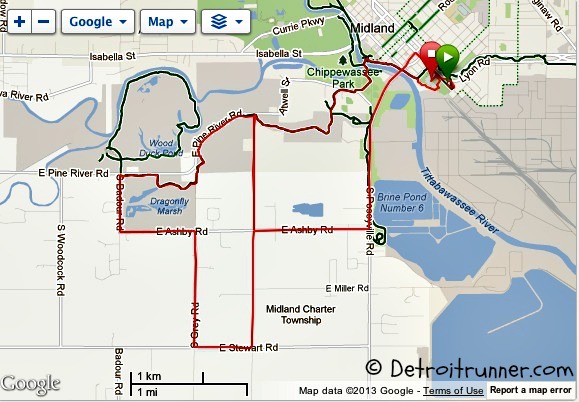 For your race entry, you received a semi-closed, supported course with a good design. 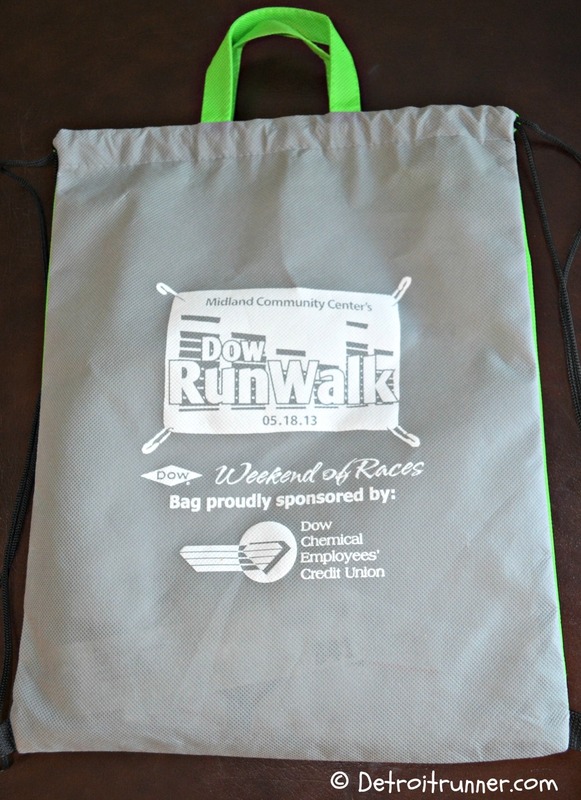 You received a goodie bag shown below which is nice and showed the races on both sides of the bag. There were some freebies in there too. I was fortunate enough to win a $25 gift certificate but the race also had many other prizes to give away as well. In addition, you received a tech race shirt which happens to be one of my favorites. I'm not a huge white shirt fan but this has a nice green part to it as well on the sides and has a really great race logo on the front. It's one that I'm sure I will wear in training all the time. The medal - OMG! I love this design. It's a high quality medal and looks really nice. I love the bronze color and the simple design of it. If you ran the full, you received a silver medal which was larger too. It's one of my favorite medals I've received for the half marathon showing Michigan off. Very nice. 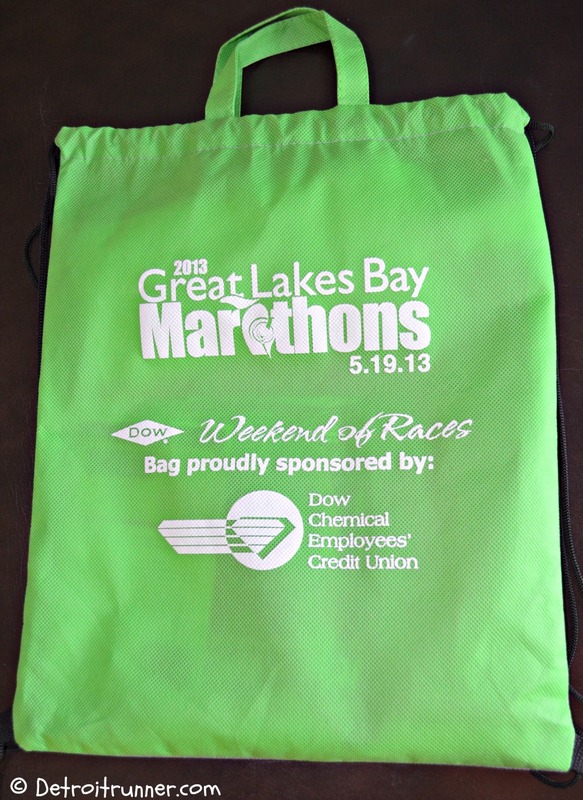 Nice cinch bag - nice color too. The organization was very good. The race director did a good job getting back to me on any questions. They had a Facebook page as well that you could get information from and they responded promptly on it. There were several e-mails from the race director with instructions for the race and they also had a website. I do think they could take advantage of their website more next year and make sure to include all information on it. Many people sign up because they want the medal but it's not mentioned on the website. My suggestion is to show this years so people know. Race day packet pickup was decided about a month out from the race. That needs to be in there months in advance to get more runners signing up. Some runners will come if they can pick up that day only but getting all this information to the runners is key and the website and Facebook is key to that. The medal company they used made a date error on the medal ribbon but the race promptly alerted the runners they would be mailing a new ribbon to everyone when they come in. Frankly, I didn't even notice it until they e-mailed us letting us know they were sorry for the error. It just goes to show you the class the race director/staff has and that they are concerned with keeping their runners happy. I note this as a positive experience and not one the race could have controlled but took control when they could. Overall, though, the organization in packet pickup, race day, and communication was great which made for a great race experience. So the big question is, would I do this race again? Absolutely I would do the race again. 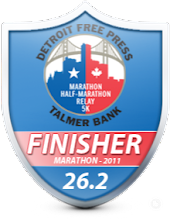 It's a great course, good variety of finish line food, awesome shirt and medal, good organization and a home plate stadium finish. So as you look next year for races to try, I recommend this be a race that you consider. I personally had a great time with it and happy that I was involved in it this year. One month reminder for Kona Run on June 8th!!! !